Bringing the best performers together for your next Chicago's Golden Corridor corporate event or private party is what THEY are all about. With so many large corporations moving to the Northwest Suburbs, it's no wonder that the area has grown into a major entity with a large need for the associated entertainment and team building programs. Whether your needs are for Chicago's Golden Corridor corporate events, private parties or for business comedy entertainment, THEY are prepared to provide improv comedy, game shows or murder mystery dinners customized for your group that will help you achieve the success you desire and be remembered for years to come. Already the leaders in new and innovative corporate comedy, THEY have joined together with top comedic talent to create a team that will help make your Chicago's Golden Corridor corporate event or private party a huge success! So, if you are looking to put together a Chicago's Golden Corridor corporate event or murder mystery dinner that will achieve your goals and be remembered by all who attend for its success, contact THEY improv. Find out how THEY can help your Chicago's Golden Corridor corporate event or private party succeed beyond all expectations! 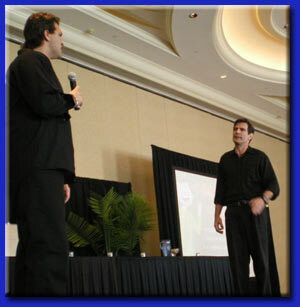 THEY improv leads the way in Chicago's Golden Corridor for corporate events, private parties, dinner shows, business comedy entertainment, company training and team building workshops. If you have a Chicagoland company looking for unique and entertaining methods for improving your business, look to THEY improv. We are proud to serve all of the northwest suburbs including Algonquin, Arlington Heights, Des Plaines, Elgin, Hoffman Estates, Palatine, Park Ridge, Rosemont, Schaumburg and everywhere throughout the rest of Chicagoland.